As we move into the cooler autumn weather and into winter you’ll soon find that the blazer will be an all important style staple to get you through the next few months. 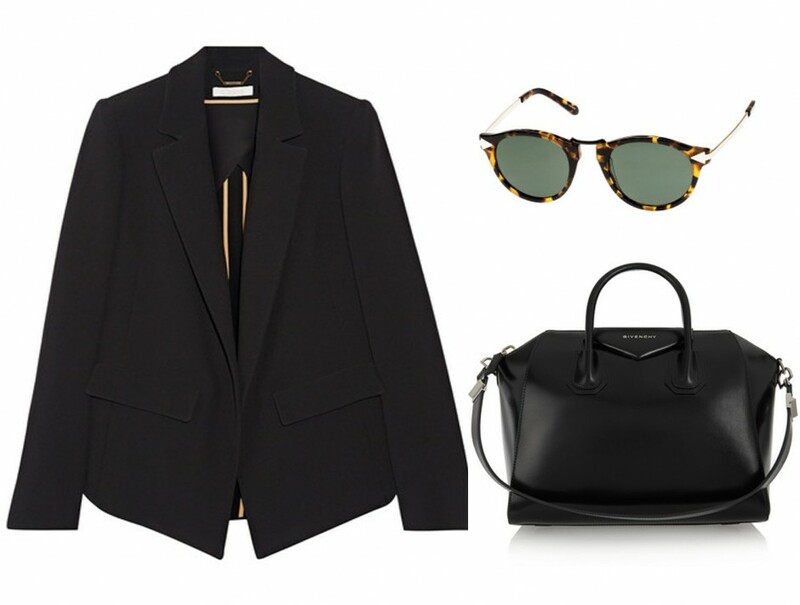 A great black blazer is a constant in my wardrobe and easily pulls together a look. Plus the hue is versatile and timeless so it’s easy to get plenty of wear out of it and also have it for seasons to come. A great relaxed fit blazer like the one above by Chloe is the ideal cut to take you from work to the weekend. 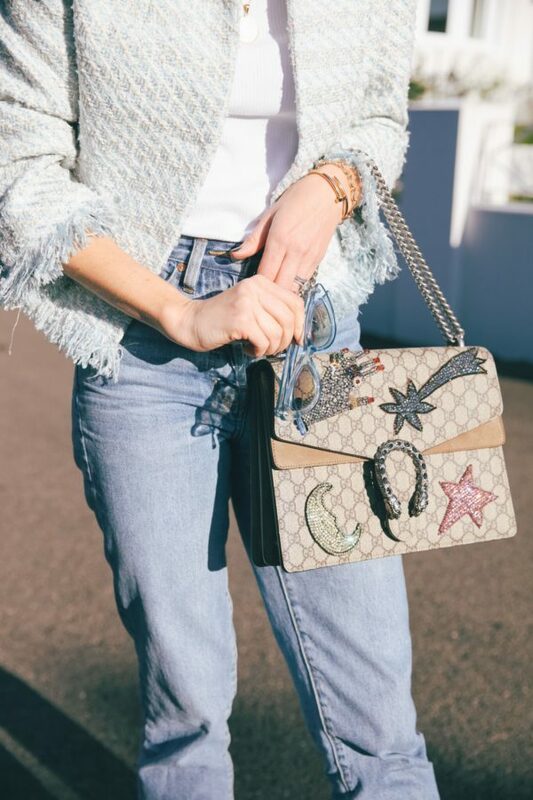 Team it with a structured bag a la the Givenchy Antigona and statement accessories like the above Karen Walker sunglasses and you’ve got yourself an eternally chic look. A single breasted jacket is always a safe bet, however if you’re after something slightly different try a double breasted option or look for interesting finishing touches such as gold buttons or a flared sleeve. There are so many great blazers out this season. If you’re looking for an investment piece my favourite designer picks are the “Phoenix” by Bec & Bridge , this one by Rag and Bone, the “Boss Lady” by Bec & Bridge, plus this one by Dion Lee and this double breasted option by Camilla and Marc. If you’re after a more budget conscious buy there are plenty of great options out there. The first and second looks are from Lavish Alice on ASOS and The Iconic also has another great look for $89.95!